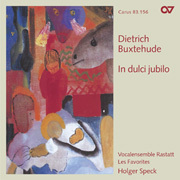 As organist at St. Mary in Lübeck, Dietrich Buxtehude held one of the most important posts in church music in northern Germany for almost four decades. His reputation as a keyboard virtuoso attracted composers such as Handel and the young Bach to Lübeck, and lasted throughout Germany long beyond his death. The survival and preservation of Buxtehude’s works is thanks largely to his friend and colleague Gustav Düben, who compiled one of the most important collections of music manuscripts of the 17th century. 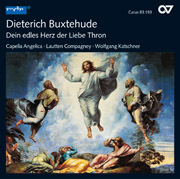 Buxtehude partly notated his music in north German organ tablature, including his most famous work, the cantata cycle Membra Jesu Nostri. 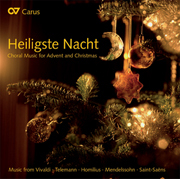 His surviving output of around 120 vocal works were written in a wide range of different forms, such as chorale settings, concerto and aria, and mixed forms. 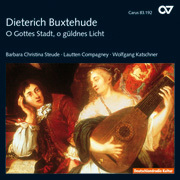 The editions published by Carus-Verlag reflect the great diversity of Buxtehude’s vocal music.